The Maryland Court of Appeals heard arguments on Thursday, March 3 in the case of the Baltimore police officers charged in the death of Freddie Gray. At issue is whether the State may compel William Porter to testify by giving him use and derivative immunity, in the cases of Alicia White and Caesar Goodson. Goodson is the only officer charged with second degree murder. Porter’s lawyers argue the testimony will violate Porter’s 5th amendment right against self-incrimination. William Porter’s trial ended with a mistrial in December, 2015. The State intended to try Porter first of the six officers with either a conviction or acquittal. In either way, Porter would have been legally free to testify as a witness in the other cases. He would not have been subjected to double jeopardy or being tried twice if acquitted. And if convicted, he would be able to testify as he would be found guilty and no longer be facing a trial. The mistrial result threw a monkey wrench in the whole process. The State needed to reassess the strategy. The State offered Porter use and derivative immunity in exchange for his testimony. In essence, the state would not be allowed to use anything that Porter said against him in his retrial. However, Porter lawyers argue that it violates his 5th amendment rights, since he is still a defendant facing charges. Judge Barry Williams sided with the prosecutors and Porter appealed. Whenever use and derivative immunity puts the potential witness in the same position as if he or she had taken the 5th and refused to testify in their own case, there is no harm. Porter contends that he is harmed since the State may still pursue perjury charges. And perhaps, the most troubling issue of his testimony is the effect on a federal investigation. Currently, federal prosecutors are investigating Porter for his role in the death of Freddie Gray. Federal prosecutors were allegedly in the court during Porter’s testimony in December, according to his attorneys. The federal investigation has been put on hold pending the outcome in Porter’s state case. All of the six cases are on hold pending the outcome. The Court of Appeals outcome may end up being a win-win for the State. Even if the State loses on appeal, they may still consider granting transactional or full immunity to Porter. Full immunity would mean that the State would dismiss the criminal case against Porter. There is still another possibility. Since all six cases are on hold, the State can choose to retry Porter first. And assuming there would not be another mistrial, following the end of his retrial, the State could subpoena Porter without having to give him any immunity. That was the State’s original plan. No matter what happens at the Court of Appeals on March 3, the State will still be in a position to try the six officers involved in the death of Freddie Gray. Many people are concerned about the length of delay in the cases. 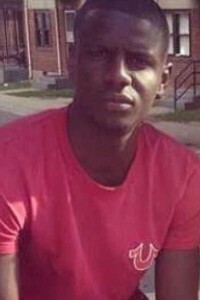 Freddie Gray died on April 19, 2015 after being arrested and placed in a police wagon on April 12, 2015. Ensuing unrest occurred in Baltimore following Gray’s funeral. 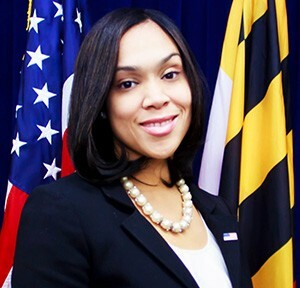 And Baltimore State’s Attorney Marilyn Mosby filed charges on May 1, 2015 against the officers. At the time, Mosby was criticized for rushing to judgment with bringing the charges. The officers were later indicted. Other police cases involving death and police brutality allegations have resulted in over a year of investigation without charges being brought. The names of Michael Brown, Eric Garner and Tamir Rice and Sandra Blake are a few of those individuals who were denied justice. In the case of the six Baltimore police, the cases have been on a fast track. And the citizens of Baltimore will need to wait patiently for the outcome. The Maryland Court of Appeals, the highest court in the State of Maryland will render an opinion in the appropriate time. And the cases will proceed back to the trial court. Justice is never as swift as one would desire. A delay in justice is not always a denial. 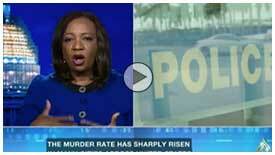 Washington, DC based trial lawyer Debbie Hines is a former Baltimore City prosecutor. Her Op-Ed articles appear in the Washington Post, Baltimore Sun and Huffington Post. On March 2, the Supreme Court will hear arguments on a Texas abortion law that aims to make it extremely difficult for abortion clinics to operate in Texas. The case of Whole Women’s Health versus Hellerstetd will determine whether Texas may require that abortion clinics have admitting privileges at a local hospital and whether abortion clinics must meet ambulatory surgical center requirements. Meeting ambulatory surgical center requirements may cost millions of dollars for a clinic. Texas law also forbids abortion after 20 weeks. While these two requirements may seem reasonable on their face, there is no apparent medical need for them. The American College of Obstetricians and Gynecologists state there is no need for admitting requirements for abortion providers, citing abortions’ low complication rates. And a 2013 study that reviewed the health departments of every state, found no medical reason for admitting requirements. The 2013 study arose as a result of the convicted Philadelphia abortion Doctor Kermit Gosnell’s practices. Although there are many differences in how abortions are regulated by state laws, the study found that abortion is overwhelmingly safely regulated in the U.S. Since the Texas law passed in 2013, dozens of abortion clinics closed- leaving only approximately 10 open to service all of the women in Texas who need these services. The closures have resulted in longer wait time and an increase of self- induced abortions according to a recent study . There are over 5 million women of reproductive age living in Texas. More troubling for the case and abortion rights advocates is how the effect of 8 justices hearing the case will affect the decision. Due to Justice Scalia’s death, the Supreme Court appears evenly divided with four liberal justices and four conservative justices. Justice Kennedy is sometimes the swing vote. After hearing arguments tomorrow, should the justices end with a tie vote on its decision, the lower court ruling will stand. And regrettably, that might mean that the remaining 10 abortion clinics and providers will shut down—leaving the State of Texas without any doctor or clinic to perform abortions on women who require the services. The Texas case is but one example of why the Supreme Court cannot wait for over a year before a new justice is appointed and confirmed. And there will many other cases before the U.S. Supreme Court in 2016 that could have potentially devastating effects without a clear decision from the highest court. 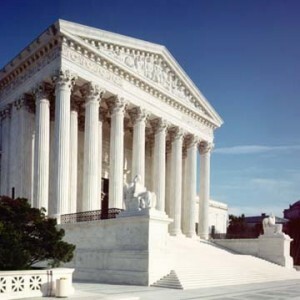 Other cases to watch in 2016 include Fisher v. Texas on affirmative action and whether to forbid race to be considered in any matter on admissions; Friedrichs v. California Teachers’ Association on public union dues requirements which could affect many state unions and Zubick versus Burrell one of the never ending cases on the Affordable Care Act and religious exemptions under the Act. Several have already been argued. It is unclear if Chief Justice Roberts will ask for re-argument in certain cases until another justice can sit –before an opinion occurs. If not, and a tie vote occurs, there will be no decision from the Supreme Court on many substantive issues before the Court. And no decision will mean that justice will be denied in some cases. In the case of Whole Women’s Health, it may mean that in death as in life, Justice Scalia’s conservative presence may still be felt. Washington, DC based Debbie Hines is admitted to practice before the Supreme Court.